Aluminium cell ceilings are high in strength and therefore make a long-lasting investment. They can last for decades, and still keep their functional properties intact. These cell ceilings can tolerate with harsh environments and weather conditions. Water resistance is also ensured through the protective multilayer coating of metal or aluminium. Cell ceilings are also quite cost-effective and hence widely used in health centres, sports, water parks, swimming pools and other public areas. C & L Products is one of your go-to places when looking for high quality aluminium cell ceilings at reasonable cost. Accessories including Hanging /Connector /L-Angle are fine to go with these cell ceilings. 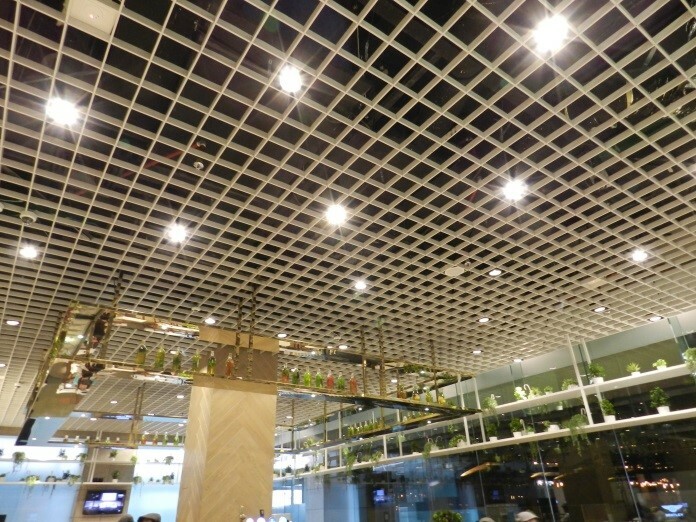 What you can gain from Aluminium Cell Ceilings? Ease of maintenance and cleaning owing to a smooth surface. High levels of rigidity, precision and consistency. Sound absorbing. The circle in the surface area helps minimize noise, maintaining the silence of the environment. Flexible suspension system makes installation and disconnection much easier. Easy to match to any ceiling which means you can cover up literally any surface you desire. Independence and a variety of options to choose from. Since the advancing technology has opened many doors in cell ceiling innovation, customers can choose from a diverse array of products and even customize according to their needs.